Nippon ​Shiho Karano Ryu® is a combination of traditional Japanese Karate-Do and traditional Japanese Ju-Jitsu developed by Soke Clement G. Riedner. Soke Clement Riedner began his training in the martial arts in Tokyo, Japan in May of 1962. Soke entered a Motobu-Ha Shito Ryu class located on the air base where he was stationed. Entering the Motobu-Ha Shito Ryu class he was one of the few American students of Kayo-San, an NCO in the Japanese Air Force and a close friend of Shiyogo Kuniba, Soke of the Motobu-Ha Shito Ryu system. In January 1965 Soke Riedner became the second American to ever receive his black belt from Soke Kuniba. Upon his return to the U.S. in 1965 Soke Riedner continued to train in Motobu-Ha Shito Ryu later receiving his 2nd degree Black Belt in 1966 from Mr. Richard Balliargeon. Further hard first karate training and rankings, all of which have impacted the development of Shiho Karano Karate-Do, include a 2nd Dan in American Goju Ryu in 1982, a 1st Dan in Isshin Ryu Karate in 1986, and a 4th Dan (Yondan) in Aka Ryu Shakai Kempo in 1978 from Dr. Roy James Brown. Nippon Shiho Karano® may be considered a variation of Motobu-Ha Shito Ryu with other systems influencing the base style. Since Shito Ryu is a hybrid of the two major styles of Okinawan Karate it contains every major Kata practiced in the first part of this century. The name “Motobu-Ha” came from Choki Motobu who taught various kumite principles to the founder of the system, Kenwa Mabuni. The history of Shiho Karano Ryu Karate is one that reflects both a deep respect for traditional forms and innovative use of technique. The student entering into this style will first learn four basic Kata devised by Shito Ryu founder Kenwa Mabuni. He then learns the five Heion forms of Anko Itosu. Still before Black Belt he learns the Kamishin Ryu form Sanchin Sho. For Shodan the Shorin Ryu forms of Jeon and Jitte are required. After first Dan the student will continue to learn forms from Okinawa and Japan, a few which have been modified and some very traditional. The fighting aspect of this art is based on a thorough understanding of the forms and kumite principles taught by Choki Motobu then developed by Soke Kuniba, Soke Church, and Soke Riedner. 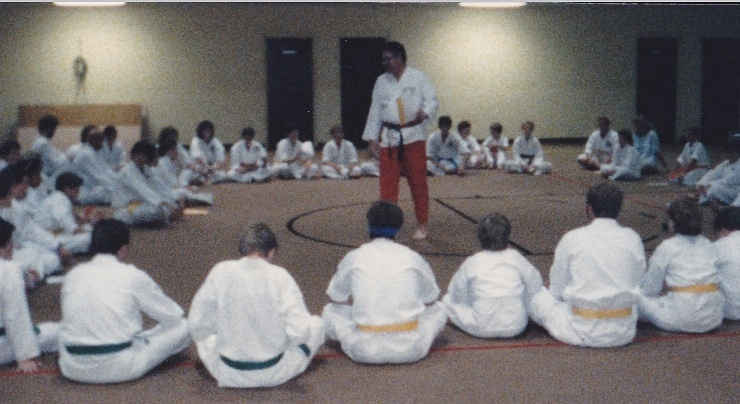 Like the Kata, training is rooted in traditions but allows for the student to expand his abilities and personal limits. Nippon Shiho Karano Ryu® also combines traditional Japanese Ju-Jitsu primarily based on Soke’s training in Hakko Ryu Ju-Jitsu. 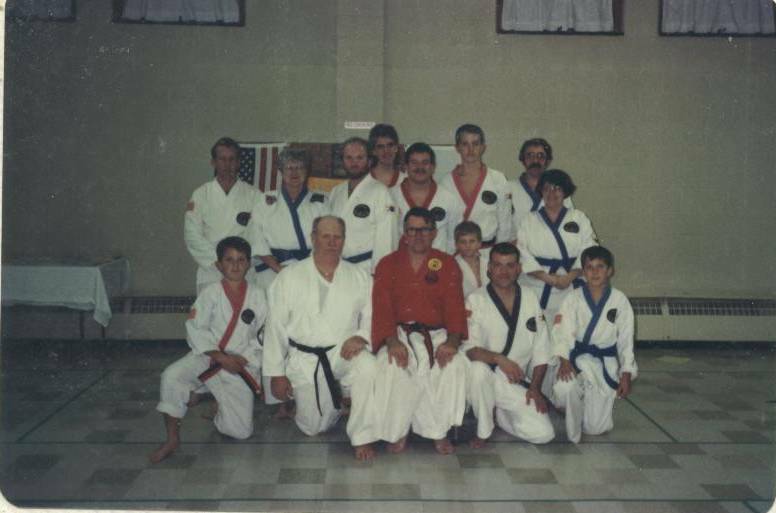 While in college in the late 1960’s Soke Riedner studied Hakko Ryu Ju-Jitsu under Master James A. Benko of Akron, OH and served as a representative for the HMAF (Hakko Ryu Martial Arts Federation) of which Master Benko was President. Soke Riedner eventually earned his 4th Dan (Yondan) in Hakko Ryu Ju-Jitsu under Master Benko in 1969. A history of Hakkoryu is documented in the book “Shiho Karano Ryu History & Traditions”; however, it should be noted that this style is primarily a revision of Daito Ryu Ju-Jitsu. Other systems of Ju-Jitsu studied by Soke were Haragei Ryu Ju-Jitsu and Judo. Soke combined elements of each of these styles along with Chin-Na, Karate Kata Bunkai, and one-steps to form the Shiho Karano Ju-Jitsu style in 1970. KARATE-DO RYU WA: Is based primarily on the Motobu-Ha Shito Ryu style of Karate-do learned by Soke Clement Riedner while stationed in Japan between 1962-1965. All technique have been kept as close as possible to that learned by Soke, with some forms and additional material gleaned from Soke's training in other Karate styles. Nippon Shiho Karano Ryu Karate-do particularly reflects the strong kata lineage and unique (Ippon Kumite) One-Step method taught in Motobu-Ha Shito Ryu. Principles of rooting and breathing have been gleaned from Kaminshin Ryu in addition to blocking and other basic technique taken from Goju-Ryu and Isshin Ryu. The instructional methodology of Hakko Ryu's principle + attack= variation of technique is also the foundational method of learning and training in Nippon Shiho Karano Ryu Ju-Jitsu. Emphasis is placed upon the development of technique through the application of the scientific principles of Physics and Anatomy/kinesiology. KENPO-JITSU RYU-WA: The Kenpo-Jitsu Ryu-Wa was developed as a means of introducing and teaching (Soft Fist) Ju-Jitsu technique to (Hard Fist) Karate stylists with the bridge being the use of the Ippon Kumite (One-Step) method learned by Soke while studying Motobu-Ha Shito Ryu. Although there is an overlap in technique taught in both Kenpo-Jitsu and Ju-Jitsu, the main differences from the Ju-Jitsu Ryu-Wa have more to do with the application of angular technique along an X-pattern as opposed to the circular foot movements of Ju-Jitsu. Also, in Kenpo Jitsu all technique are organized in categories designed to fit the use of Karate stances. KOBUDO RYU-WA: During his training in Japan Soke Kuniba gave Dr. Riedner a set of Sai and Tonfa starting his training in classical Kobudo. To this day the two primary Sai forms used in Nippon Shiho Karano Ryu Kobudo are those taught by Soke Kuniba. The Kobudo Ryu-Wa has since evolved into a basic 'stick' system with the main goal being to train a student to Shodan level with the ability to effectively manipulate any length of stick in combat. Kobudo study specifically involves training in the use of the Bo, Jo, Arnis, and Yuwara sticks. The kata taught at the Shodan level are designed to teach the basic manipulations of each particular length stick. Once a student has reached the rank of Shodan they may choose to continue training in classical Kobudo focusing on the traditional weapons of Sai, Tonfa, Nun-Chucku or Kama, or they may choose to branch out into the study of Arnis. Soke Riedner demonstrating technique on Shihan Ron Hagelganz during a Nippon Shiho Karano Ryu ® seminar at Whole Armor Martial Arts in 1997. 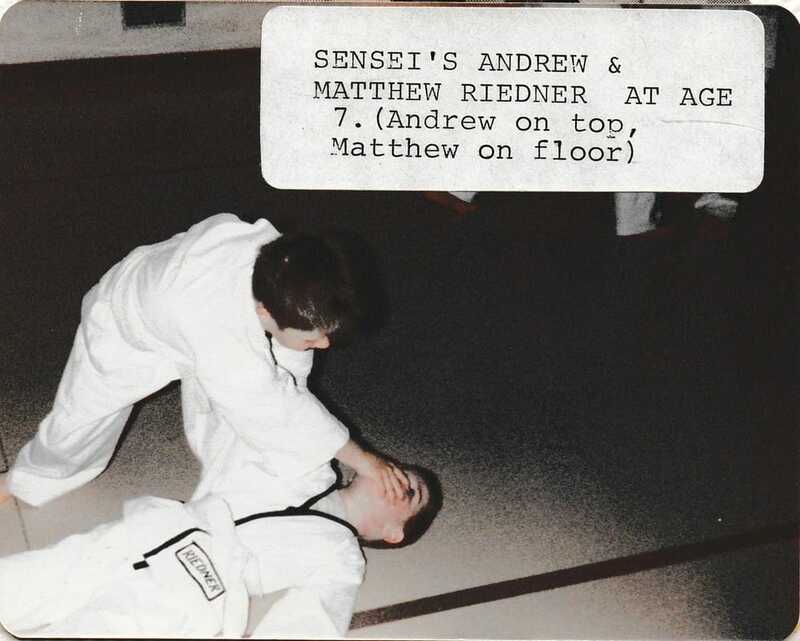 In April of 2000 Soke Clement Riedner passed the inheritance of Nippon Shiho Karano Ryu ® to his sons, Andrew and Matthew Riedner. Since that time Soke Riedner has slowly transitioned both sons into prominent leadership roles. Currently, all advanced training in Nippon Shiho Karano Ryu ® is handled by Nidai Soke Andrew Riedner while all administrative duties for the CBBA and SKKI are handled by Nidai Soke Matthew Riedner.